Today we are focusing on sushi restaurants which are offering the luxurious taste at an affordable price. 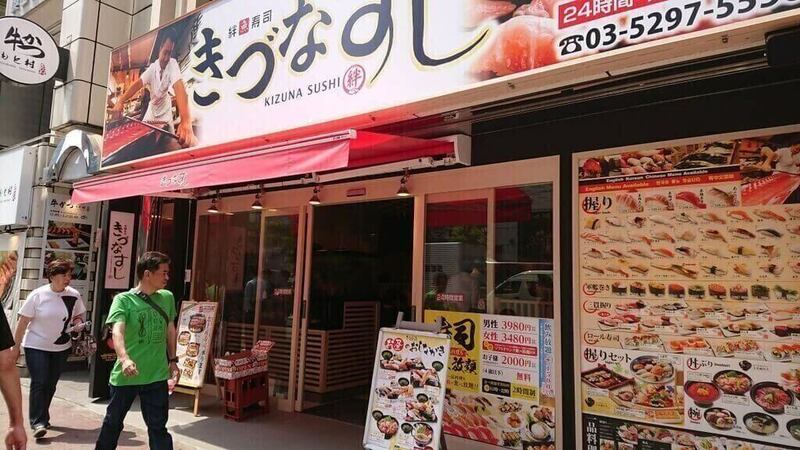 However, these four restaurants are similar only because you can eat sushi in all of them. The concept, atmosphere, and menu are different and attract different customers. Conveyor Belt Sushi or kaiten-sushi, is considered fast food in Japan, as opposed to traditional sushi restaurants. It is not only because of price, but also the service is smoother and faster. Plates of sushi revolve around the restaurant on a conveyor belt. 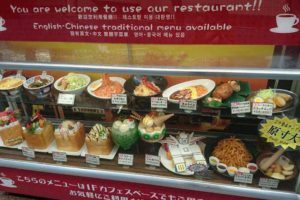 The digital menu is foreigners friendly with English and Japanese language options. On top of keeping with the atmosphere of kaiten-sushi restaurants, Ganzozushi focuses on developing a unique way of preparing sushi in order to give it the best taste while keeping the original value of fresh ingredients. Even Japanese, often harsh reviewers, prize the taste and the texture of the food. 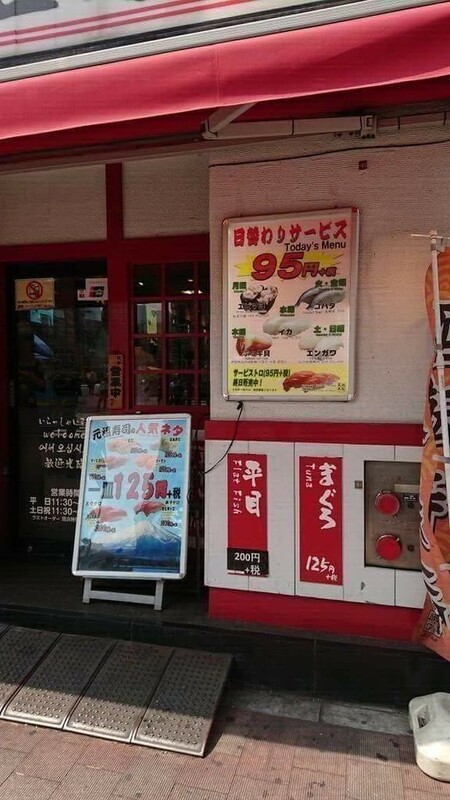 The prices start at more than affordable ¥99. 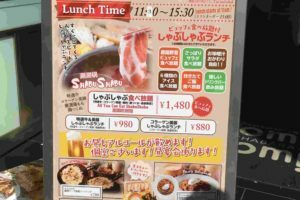 Most plates on the menu are ¥130 with only a few exceeding that price. 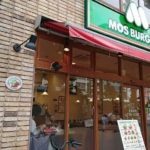 Since it is not a traditional small restaurant, it is perfect for families and bigger groups. The bad side is that, because of its good location, it can get pretty crowded during dinner time, so we suggest as a great place to enjoy a relaxing lunch. 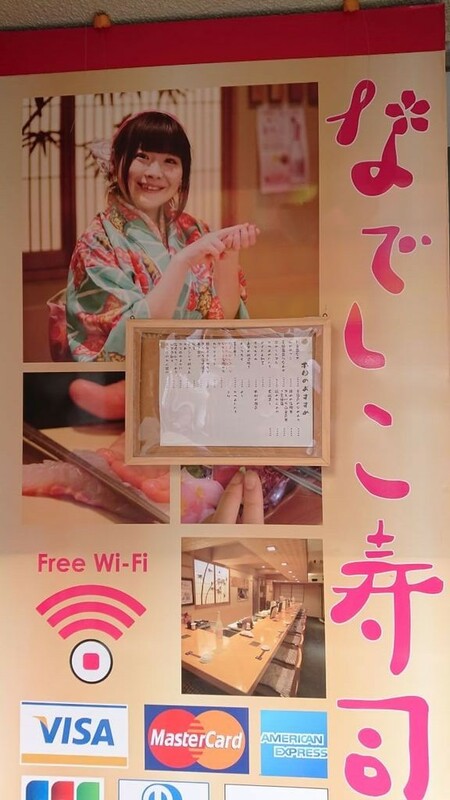 In, Japan, the concept of all you can eat may be different from what you are used too. The original Japanese word is tabehodai. 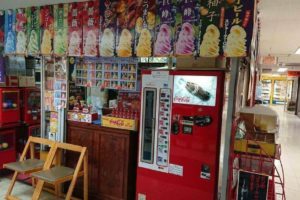 There is the buffet style, that we are used to, where you pick the food arranged on the tables and there are restaurants that offer a special menu for tabehodai. You can eat how much you want and the way you want as long as you follow three simple rules: don’t pile your plate full of food/order too much at once, finish the food off your plate before you go pick up/order more, and be polite. Usually, you have 120min to finish your dinner so there is no need to rush. There is all you can drink variation where you can order any and as many drinks as you want from the designed menu during the assigned time. All you can eat sushi restaurant sounds too good to be true. 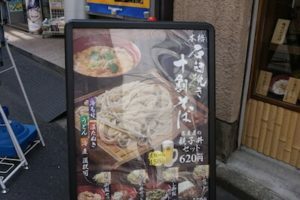 However, look at the menu carefully and see if you can eat enough for tabehodai to pay off. 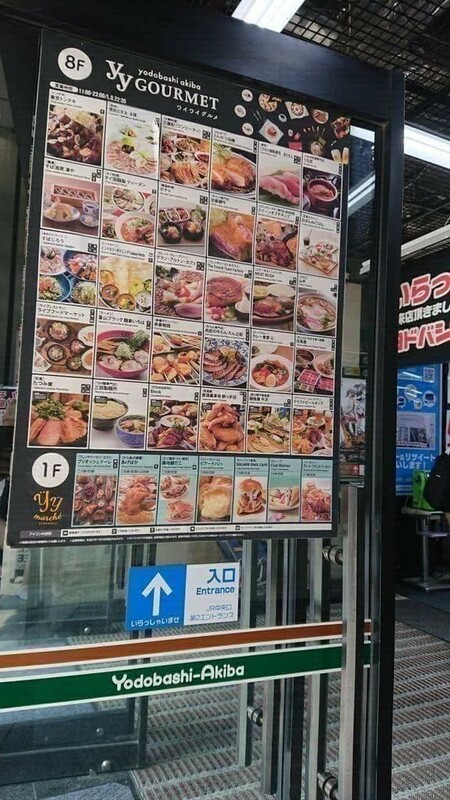 Many plates are barely more than ¥100 so we suggest you keep to the original menu if you are not feeling especially hungry. Kizuna Sushi menu has more than 100 items. It comes with soft drink menu free of charge for families with children and all female groups. Kizuna Sushi offers two types of all you can drink menu: for alcoholic and non-alcoholic drinks. Also, there is a special lunch menu with dishes at a reduced price. Sushi is not always the best choice in the middle of summer and can lead to food poisoning. However, Kizuna sushi is so fresh, customers don’t have to worry what time of the year it is. Also, since is not a conveyor belt restaurant, it does feel a bit more luxurious. Even though there is no digital menu, the stuff can speak English and Chinese. Prices are the same in every one of the 150 restaurants across the country. 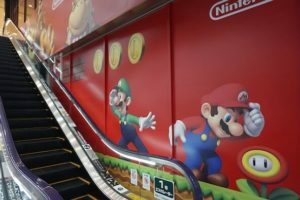 Only three 3 min from Akihabara station. 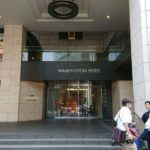 Magurobito is located on the 8th floor in Yodobashi Camera Akiba. They use the freshest ingredients to recreate the atmosphere of Edo period while keeping the price low. The main focus is the fresh smell which is achieved by getting new ingredients from Tsukiji market every day. The main attraction is periodical Tuna event where the cooks bring the whole tuna, then cut and prepare it in front of customers. The next event is usually listed on their homepage where you can reserve a seat. 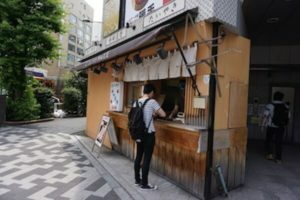 It is one of the rare occasions where you can see sushi being made from scratch in the center of Tokyo. You order using a digital menu where you can see the pictures and ingredients so you know exactly what you are ordering and there is even the order history where you can check how many plates you have eaten and what dishes are yet to arrive. Traditionally, sushi chefs are all mostly men. Even though, there are many female chefs in anime and dramas it is are chance to see real women at this position. 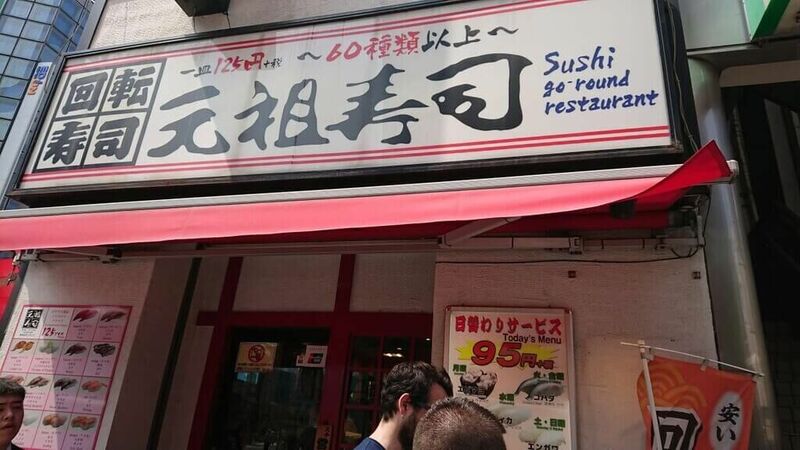 It is no wonder that one of the first such sushi restaurants opened in Akihabara, considering its ever-growing maid culture. 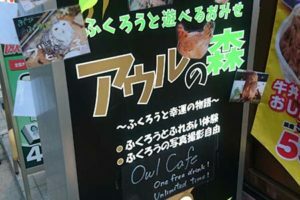 Nadeko Sushi advertises itself as an alternative to bars and pubs, where you can come and relax with a drink. 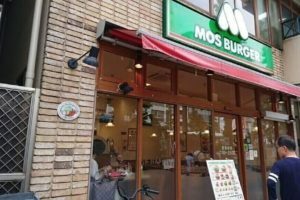 It is a bit different place from family-oriented convert belt restaurants. The interior looks traditional with wooden decoration and relaxing atmosphere. However, the chef doesn’t wear the usual white uniform, but a colorful kimono. The prices are a bit more expensive with dinners courses ranging from ¥2,160 to ¥4,320. Every nigiri is made in front of you and served one by one. As we mentioned, they compare themselves with izakayas and bars so they have a great assortment of Japanese alcoholic drinks. Under every drink on the menu, there are comments describing the characteristics in the detailed but cute way. There is also, a report from a sake tasting event written in manga form. The chef is a very cheerful young woman who drew the mange herself. She asks a lot of questions and loves talking to the customers. 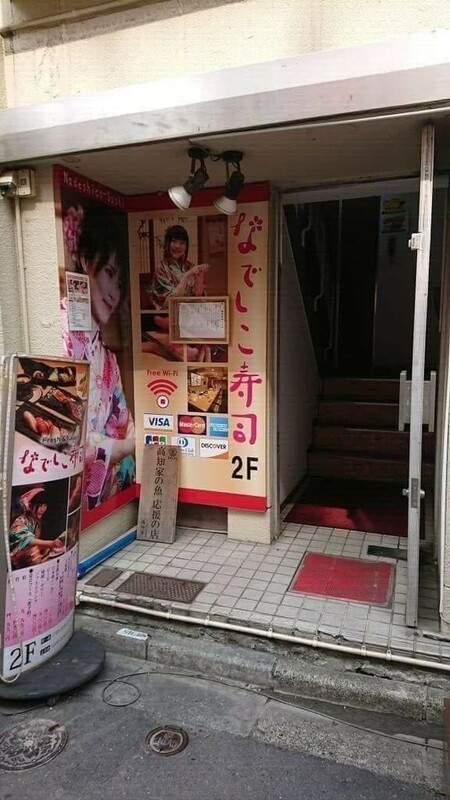 Since they have a lot of older customers, she is not pursuing Akihabara moe cuteness but wants to create a friendly store where customers can relax.